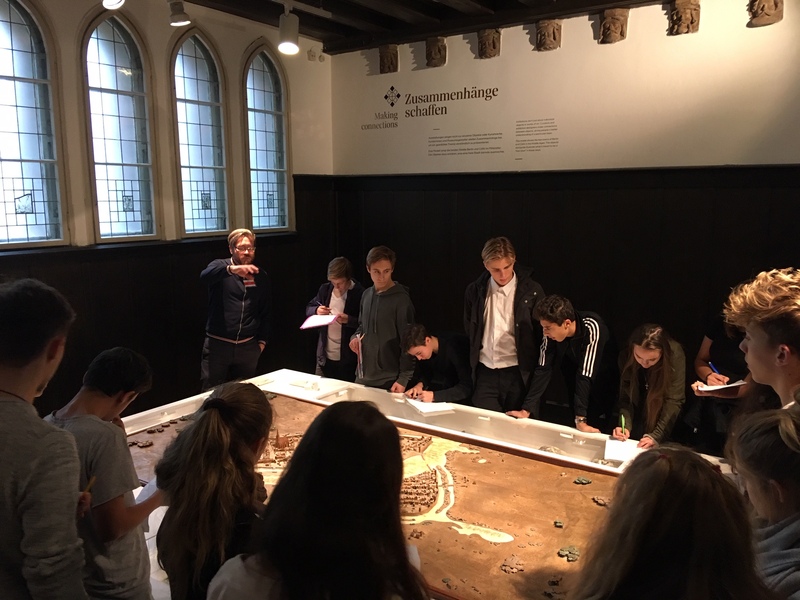 The Abitur History classes (11th and 12th grades) spent the final fleeting moments of school before the autumn break visiting the Märkisches Museum on October 19th. Here the students learned about the beginnings and development of Berlin during the Middle Ages, which will serve as a basis for their study of the importance of towns for communal freedom during this period. At the same time, students used this opportunity to examine the decision-making process that goes into preparing a museum exhibition.